Some of you who've been around a little longer may remember the grandfather of the zip file format: PKZip. PKZip was a command-line utility for MS-DOS that, for all intents and purposes, defined the zip file format and its use. It's because of PKZip that zip files became as ubiquitous as they are today. However, after all this time, there are problems. Both PKZip and WinZIP have gone to shareware models - meaning that they're not free. And neither have particularly good command line support. 7-zip is roughly equivalent to both WinZip's graphical interface and PKZip's command line. Open up the program within Windows and you can examine, create, and modify archive files, as you might expect. 7-Zip supports a full-featured command line, which, in all honesty, is how I use it the most. "...7z format is perhaps the most effective compression format supported." I do want to call out one particular archive format: 7z. 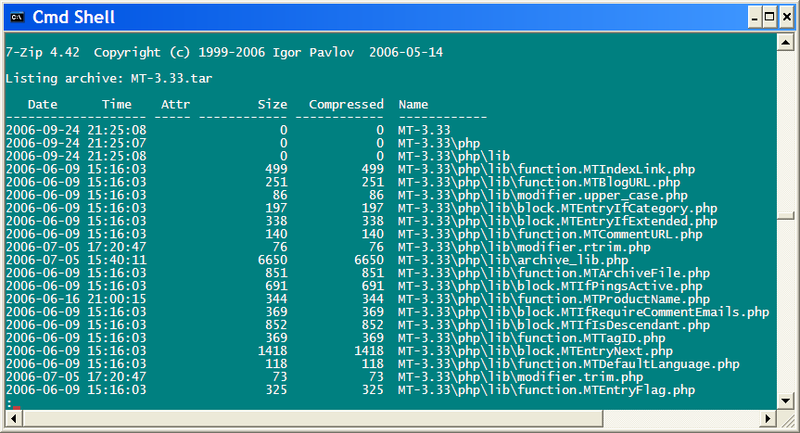 As its name implies, 7z format is 7-Zip's own compression format. You can see comparative numbers on 7-Zip's home page, but 7z format is perhaps the most effective compression format supported. The claim is that files compressed with 7z format are significantly smaller than when using other formats. 7-Zip can also be better at some of the other compression formats than the original tools. That means you may often end up with smaller files even if you choose a more common compression or archival format. The icing on the cake, for me, is the availability of "p7zip", a compatible command line version of 7zip available for several Linux distributions as well as Mac OSX. So before plunking down money on any of the other archive tools, I recommend giving 7-Zip a try. It's certainly meeting all my needs, and then some. Ask Leo! - Can I ZIP my pictures or MP3 files to save space? Ask Leo! Mailbag - How do I turn off zip support in Explorer? As my rusty memory recalls, Phil Katz (the "PK" in PKZip) originally crafted a clone of the SEA ARC compression utility called PKARC. SEA sued Phil, so he created his own compression standard - ZIP - in 1989. At the time the computer bulletin board systems were awash with different compression types - ZIP was fast, efficient, and free. BBS operators began to use it in droves. I'll have to give 7-Zip a try! ARC is still around. Howard Chu released it on a GPL in 2003. It can be found in a lonely area of sourceforge.net. I was always amazed about how quick pkzip replaced SEA ARC as the standard. Interesting story. I'll try 7zip. Other nice things about 7-zip: The GUI is very simple and easy. No wizards, everything is in a single window. It can create self-extracting archives. Better yet, it can create encrypted, compressed, password protected, self-extracting archives. I'm tring 7-zip in command line mode, do you know if it is possible to make 7-zip file with password? I have try the option -p butte this will ask me a psw, and after compression if i try to use winrar to open 7zip file, i can and don't ask me for any password. I need to use commandline argument to extract a password protected zip file during unattended scheduled operation. I see how to create an archive with password from commandline. But I have not found how to extract from commandline a password protected file except for attended use, when a human is there to provide a password in response to a prompt. Can anyone help? The -p option worked for me on extraction as well. Dave: Your memory isn't that rusty. SEA sued Phil Katz for infringing on the ARC format. Katz then created the ZIP format and placed it in the public domain. The BB community was so incensed at SEA that they boycotted them and moved to PKZIP or another one of the ZIP tools. Thanks, Leo! I was just about to plunk down $15 to upgrade my WinZip. 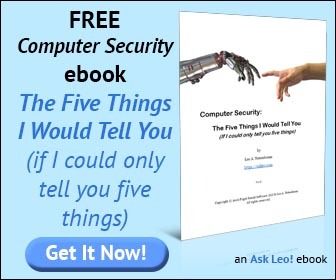 Now I'll download 7-Zip instead (and buy Leo a Latte to celebrate :-) ). I used WinZip for years, but no longer. Then, I used 7-Zip for awhile, until I read somewhere about ZipItFree. ZipItFree is so simple to use, even a newbie can do it. I love it. This program is also, FREE!!! Check it out for yourself. Another important aspect, the files you get from Micro Smart are clean, safe and small in size. I am only 'bothered' by them, when there has been a new version or update available. The online Help is quite good, as well. They take you through how to create a Zip file, with various screenshots of their program. Thanks man for the 7-zip tip! I owe you lunch. Just wanted to thank you for the recommendation to use 7 Zip to encrypt when sending files. Works great! Thank you! Btw, I encrypted with .zip as oppose to .7z format because I figured the recipient wouldn't need special software ... should I have stuck with .7z? Compressing to .zip instead of.7z is a good idea for the reasons you expressed. As a note, when you encrypt in 7z format, you can also encrypt the list of files. Problem with 7 Zip is that there do not appear to be any user instructions! Fine for those who have a better understanding of these things, but some of us need a little more help.